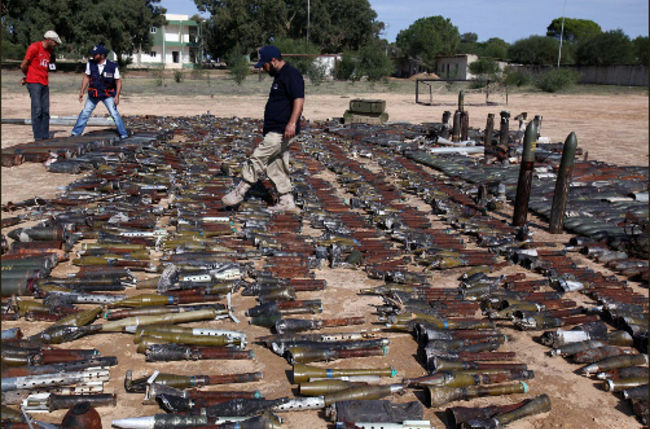 JNN 12 Mar 2014 Tripoli : Libya has been named as the primary source of the illegal weapons trade that is fueling conflicts in at least 14 countries around the world, a final report from the UN’s independent panel on Libya’s sanctions announced. In a briefing to the United Nations Security Council (UNSC) on Monday, the Libya sanctions committee chair, Rwandan Ambassador Eugene Gasana, noted that the post-Gaddafi government is struggling to secure the country in which a number of armed tribal militias denounce Tripoli’s authority. As of now, three ports in the country are under full control of rebel groups. 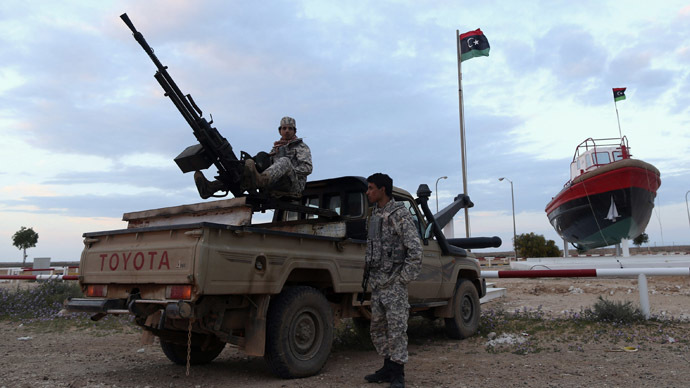 A special force has been ordered by the country’s parliament to be sent next week to “liberate” all rebel-held ports, which is crucial to sustaining Libya’s oil-rich export economy that has been struggling to survive after the NATO invasion and regime change. Meanwhile, Libya’s UN envoy noted that exporting parties should bear responsibility when supplying Libyan authorities with arms. This entry was posted in AFRICA and tagged Benghazi, Downfall of Qadafi, Libya, Tripoli. Bookmark the permalink.